Have a question for Hotel California Jeju? 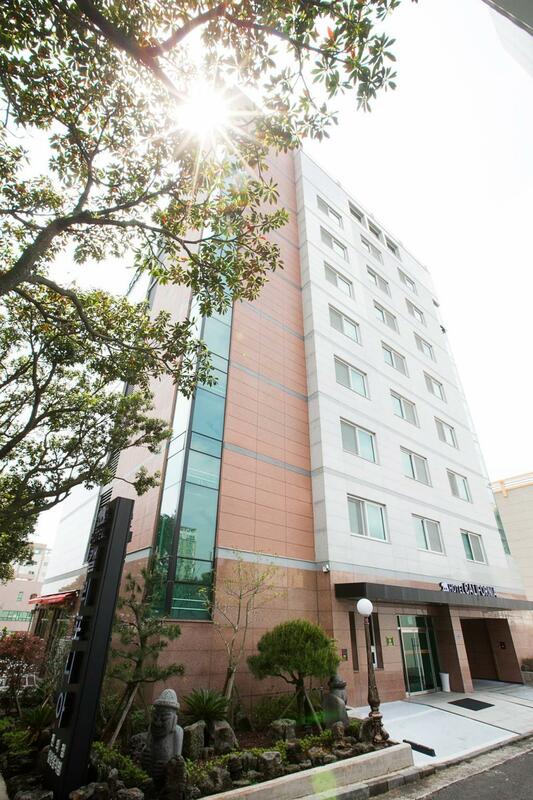 Conveniently located in Jeju Island, Hotel California Jeju is a great base from which to explore this vibrant city. The hotel is not too far from the city center: just away, and it normally takes about minutes to reach the airport. With its convenient location, the hotel offers easy access to the city's must-see destinations. 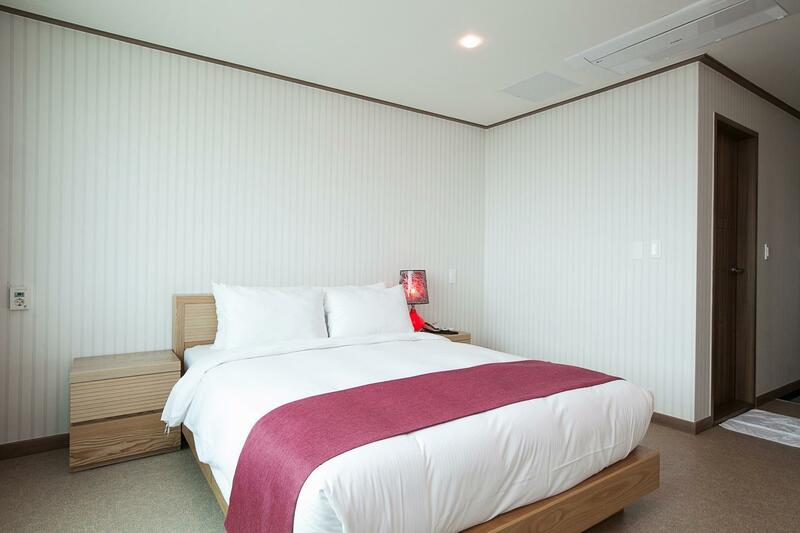 Hotel California Jeju offers impeccable service and all the essential amenities to invigorate travelers. The hotel offers access to a vast array of services, including free Wi-Fi in all rooms, 24-hour front desk, express check-in/check-out, luggage storage, Wi-Fi in public areas. 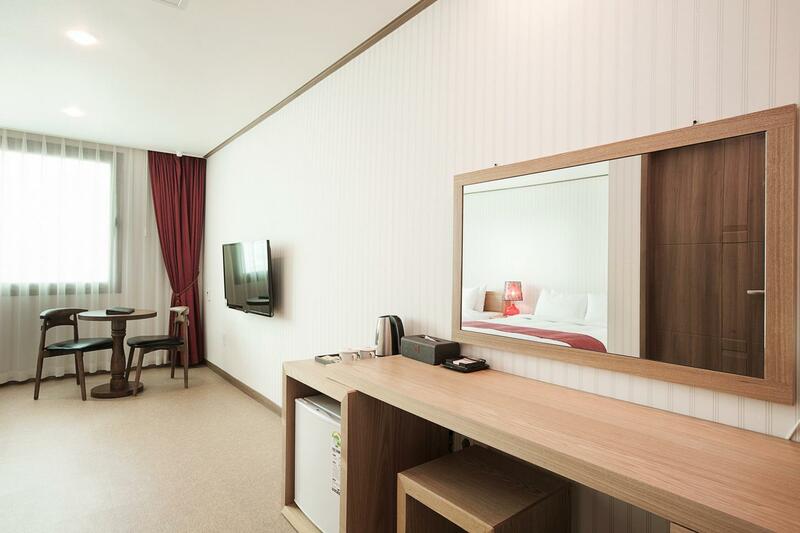 The ambiance of Hotel California Jeju is reflected in every guestroom. television LCD/plasma screen, internet access – wireless (complimentary), air conditioning, desk, soundproofing are just some of the facilities that can be found throughout the property. Besides, the hotel's host of recreational offerings ensures you have plenty to do during your stay. 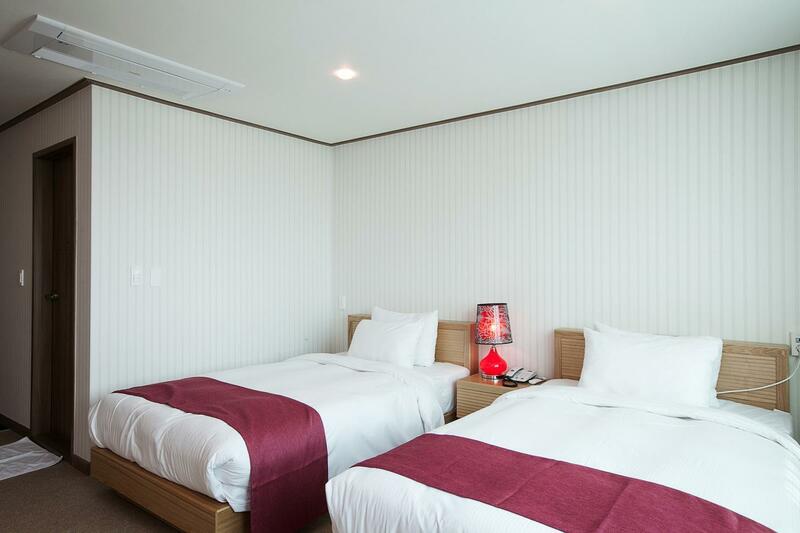 Hotel California Jeju is a smart choice for travelers to Jeju Island, offering a relaxed and hassle-free stay every time. 신도시 내 자리잡고 있어 차량통행이 원활하여 외곽으로 진출입이 좋음. 대형할인마트 접근이 용이함.